Please read these T&Cs carefully before using this site. For the avoidance of doubt, you do not need to create an account to be bound by these T&Cs. Your very use of this site constitutes your agreement to these T&Cs. If you do not agree to any of the provisions contained in these T&Cs, you should not use this site. We may change these T&Cs at any time without notifying you. By continuing to use this site, you agree to the amended T&Cs. Use the site for anything that is illegal or infringes someone else’s rights. Post or send any material via the site which harms anyone else or use the site to send unsolicited messages. In any way tamper with the site or transmit any viruses via the site. (b) in a way that is illegal, unfair or misleading. We do not warrant that the site will be available at all times or without disruption or that the website or the website serverarefree of viruses or any other harmful components. Ultraceuticals is incorporatedin,and operates from, New South Wales, Australia. All purchases are subject to the laws of the Commonwealth of Australia, and where applicable the laws of New South Wales. By using this site, you submit to the jurisdiction of the courts of New South Wales and Australia and agree that any legal action will only be commenced in these forums. All prices and availability of the products listed on the site are subject to change without notice. All prices and fees listed on the site are in Australian Dollars (AUD). If for any reason a price listed on the site is incorrect, whether due to an error by us, information received from a supplier or for any other reason, we have the right to refuse or cancel any order made at the incorrect price, even if the order has been successfully submitted and payment has been made. In the event that payment has been made for the purchase and the order has been cancelled, we will refund the full amount of the incorrect price paid within a reasonable period of time. Products purchased from our site are for personal use only and must not be resold without our express consent. By purchasing products from our site, you agree that you will not resell any products, including any part of a product. We reserve the right, with or without notice, to cancel or reduce the quantity of any order to be filled or products or services to be provided to you that we believe, in our sole discretion, may result in the violation of our Terms and Conditions. (b) be at least 18 years old and have the capacity to enter into a legally binding agreement with us. Ultraceuticals is under no obligation to ship any goods ordered until payment for those goods has been received in full. In the event that requested goods are unavailable, Ultraceuticals may cancel the transaction and provide a full refund. All orders placed are an offer of purchase and are subject to acceptance by Ultraceuticals. If an order is not accepted, a full refund will occur at the earliest possible convenience. Ultraceuticals reserves the right to refuse an offer for any reason, and to refuse any order that it reasonably believes is for the purpose of resale. All prices listed are inclusive of any applicable Australian goods and services tax. Ultraceuticals is not responsible forcustomcharges. Restrictions resulting from the importation of certain goods vary from country to country. The purchaser remains responsible for all such charges and fees incurred. If your order is lost or damaged in transit, please contact us so that we may assist you. Wherever possible, we will work with the courier in an attempt to resolve your issue. It is always important to use products as directed on the label. In the unlikely event that your skin becomes irritated or shows signs of an allergic reaction, please stop using the product immediately and contact us on 1800 355 890 to speak to one of our skin therapists. If our skin therapist identifies that the product purchased caused a skin reaction, we will exchange the item for another product. By submitting a rating or review to Ultraceuticals or by posting any content (including, but not limited to, communications, comments, texts, photographs, videos, sound, music, graphics, suggestions, ideas, reviews, ratings, code or any other data or materials, collectively referred to as “Content”) on our website or any of our social media platforms (including, but not limited to, Facebook, Instagram, Twitter or YouTube), you agree to be bound by these T&Cs. Please do not submit any content if you do not fully agree with these T&Cs. use of the content you supply does not violate these T&Cs and will not cause injury to any person or entity. You agree to indemnify and hold Ultraceuticals (and its officers, directors, agents, subsidiaries, joint ventures, employees and third-party service providers) harmless from all claims, demands, and damages (actual and consequential) of every kind and nature, known and unknown including reasonable legal fees, arising out of a breach of your representations and warranties set forth above, or your violation of any law or the rights of a third party. For any content that you submit, you grant Ultraceuticals a perpetual, irrevocable, royalty-free, transferable right and license to use, copy, modify, delete in its entirety, adapt, publish, translate, create derivative works from and/or sell and/or distribute such content and/or incorporate such content into any form, medium or technology throughout the world without compensation to you. All content that you submit may be used at Ultraceuticals’ sole discretion. We reserve the right to change, condense or delete any content on our website or social media platforms that we deem, in our sole discretion, to violate any provision of these T&Cs. Ultraceuticals does not guarantee that you will have any recourse through Ultraceuticals to edit or delete any content you have submitted. Ultraceuticals reserves the right to remove or to refuse to post any submission for any reason. You acknowledge that you, and not Ultraceuticals, are solely responsible for the contents of the submitted content (whether edited by us or not). None of the content that you submit shall be subject to any obligation of confidence on the part of Ultraceuticals, its agents, subsidiaries, affiliates, partners orthird partyservice providers and their respective directors, officers and employees. This site may contain links to other websites from time to time, which we do not control. Ultraceuticals is not responsible for the content of those websites. Although we would typically approve of the content contained in those websites, we do not endorse, provide any warranty or take any responsibility for any aspect of those websites or their content. The links to those websites are provided for convenience only and may not remain current. You use them entirely at your own risk. The advice and information contained within this siteisof a general nature and is not intended to constitute or replace professional advice for individual or specific conditions. Whist we make every effort to ensure that the information contained within this site is correct, we take no responsibility for any loss or damage arising from its use. You agree that to the maximum extent permitted by law we will not be liable to you for any loss or damage in connection with any goods or services we provide to you including your use of this site and the products you order on this site. To the maximum extent permitted by law, you hereby release and forever waive all claims that you may have against us or our officers, directors, employees, or agents for any loss or damage you may sustain in connection with your use of this site and the products you order on this site. Where a warranty is implied by law in relation to our provision of goods or services to you which may not be excluded, then to the extent permitted by law, our liability for breach of the warranty will, at our option, be limited to the supply of the goods or services again or (where applicable) having them repaired or replaced; or paying the cost of having them supplied again, repaired or replaced. We rely on you to comply with these T&Cs. You agree to indemnify us for all losses, expenses, damages and costs, including legal fees, resulting from any violation of these T&Cs. You also agree to indemnify us from and against all actions, claims, suits, demands, damages, liabilities, costs or expenses arising out of your use of this site. Ultraceuticals, unless otherwise stated, owns (or has a licence to use) all content on this site and in any of our e-newsletters, including trademarks, text, icons, audio and graphics, which are protected by copyright law. You must not publish, distribute, extract, re-utilise or reproduce any material contained either on this site or in any of our e-newsletters without our prior written permission. Content that we posttoFacebook or Instagram may be shared without our prior consent, but it must not be modified or altered in any way. You acknowledge that any breach by you of this paragraph may cause damage to us which cannot adequately be remedied by damages and that if you breach or act in a way which threatens to breach this paragraph, we may seek injunctive relief against you. Winners will be chosen by Ultraceuticals on a monthly basis from all customers who have created a Skin Profile through the Online Consultation. 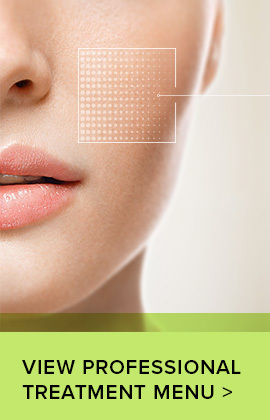 Professional treatment voucher will be of value as determined by Ultraceuticals. Offer available in Australia and New Zealand only. Prize cannot be swapped for cash or products. Not valid in conjunction with any other offer. Ultraceuticals reserve the right to change the prize offering at any point. $50 off your first Signature facial treatment with your first online order. Offer available at specified clinics only. Voucher can only be redeemed once. Voucher is not transferrable or redeemable for cash. Treatments are subject to availability. Please present this voucher to redeem offer. Voucher valid for 3 months fromdateof online purchase. Valid on Prescription Facial Treatments only. The cost of a Signature Facial exceeds the value of the voucher, and the voucher holder is required to pay the difference between the purchase price of the treatment and the value of the voucher. Offer not available with purchases made via or referred from davidjones.com.au. 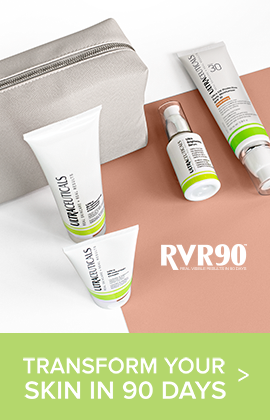 Products must be from the Ultra Protective Daily Moisturiser Range, Sunactive Range or the Ultra Protective Antioxidant Complex. Offer available from 17 December 2018 while stocks last. 2. This competition is open to those aged 14 years or over. Employees of Promoter, in any way involved in the development, production, or distribution of this competition, as well as the immediate family (spouse, parents, siblings, children) and household members of each such employee and/or authors, are not eligible to participate in the Promotion. 3. This competition will commence at 11:00 AEST on 8TH March 2019 and all entries must be received by 23:59 AEST on 14th March 2019. The Promoter accepts no responsibility for any entries that are incomplete, illegible, corrupted or fail to reach the Promoter by the relevant closing date for any reason. 4. Entrants may submit as many entries as they wish but no entrant may win more than one prize. Each product review left counts as one entry. 5. To enter, entrants must leave a product review on the Ultraceuticals website. So that Ultraceuticals can contact them as the winner, entrants must sign in to their Ultraceuticals.com account, or create an account. 6. The winner will be picked randomly from the entries by Ultraceuticals PTY LTD. The Promoter’s decision is final. No correspondence will be entered into. 7. The prize for the winner is to win one of two Rejuvenating or Refining Eye Trios. 8. The prizes are non-transferrable and no cash alternative will be offered. 10. The winner will be notified via direct message by 31st March 2019. The winner must claim their prize within 30 days of the Promoter sending notification. If the prize is unclaimed after this time, it will lapse and the Promoter reserves the right to offer the unclaimed prize to a substitute winner selected in accordance with these rules. 11. To obtain details of the winner please email digital@ultraceuticals.com.au stating the name of the competition in the subject heading 4 weeks after the closing date. 12. The Promoter will use any data submitted by entrants only for the purposes of running the competition, unless otherwise stated in the entry details. By entering this competition, all entrants consent to the use of their personal data by the Promoter for the purposes of the administration of this competition and any other purposes to which the entrant has consented. 13. By entering the competition each entrant agrees to be bound by these terms and conditions. 14. The Promoter is Ultraceuticals Pty Ltd, Level 4, 436- 484 Victoria Road, Gladesville NSW 2111. 15. The competition is in no way sponsored by, endorsed by or associated with Instagram. 3. This competition will commence at 11:00 AEST on 24th October 2018 and all entries must be received by 23:59 AEST on 15th December 2018. The Promoter accepts no responsibility for any entries that are incomplete, illegible, corrupted or fail to reach the Promoter by the relevant closing date for any reason. 4. Entrants may submit as many entries as they wish but no entrant may win more than one prize. 5. To enter, entrants must share a wishlist created on Ultraceuticals.com via email. 7. The prize for the winner is the products selected on the winning entrant's wishlist, up to the value of $500 RRP. 10. The winner will be notified via direct message by 20th December 2018. The winner must claim their prize within 30 days of the Promoter sending notification. If the prize is unclaimed after this time, it will lapse and the Promoter reserves the right to offer the unclaimed prize to a substitute winner selected in accordance with these rules. 15. The Promoter is Ultraceuticals Pty Ltd, Level 4, 436- 484 Victoria Road, Gladesville NSW 211. 16. This competition is open to customers based in all countries which we ship to from the Ultraceuticals Australia website. If you have any questions relating to these T&Cs our about our site, please contact us by emailing digital@ultraceuticals.com.au.